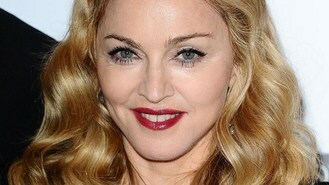 Chart queen Madonna has revealed an unlikely musical inspiration - punk poet Patti Smith. The singer, who recently scored her 12th number one album with MDNA, has named Smith's recording of Gloria as one of her key influences. Despite her background in the New York dance scene as she began her career she went for the reworking of the track written by Van Morrison and originally recorded by his band Them in 1964. Madonna has long been known for her references to religion throughout her work and she cited the line "Jesus died for somebody's sins, but not mine", which Smith added to the song, as her key inspiration. She chose the lyric and song after being invited to give her choice as part of HMV's "my inspiration" campaign - the 300th artist to do so. The campaign began in 2006 when David Bowie selected a line from Syd Barrett's song Gigolo Aunt. Sir Paul McCartney, Bob Dylan and Lady Gaga are among the other names to have taken part. The almost six-minute version of Gloria featured on Smith's 1975 debut Horses. HMV spokesman Gennaro Castaldo said: "We've been honoured to have some truly legendary artists take part in recent years, but we're particularly proud and thrilled that Madonna has agreed to participate to celebrate our 300th landmark. "Naturally we were really intrigued to learn her choice, but should have guessed that, in Patti Smith, she'd go for another artist who has rewritten the rules and, in Gloria, a song that makes a powerful statement." Jack White will kick off the release of his first solo album with a concert streamed live online, to be directed by Gary Oldman. Alexandra Burke has admitted she's "feeling the pressure" about bringing out her second album. Noel Gallagher has revealed he was stopped and searched three times on his way into Coachella music festival. Glam rockers The Darkness have landed a TV gig - on children's show ZingZillas. Bee Gees star Robin Gibb remains in a coma in hospital as fans of the cancer-stricken singer left hundreds of messages of hope for his recovery. Status Quo are swapping gold discs for the silver screen - by launching a movie career. Canadian singer Carly Rae Jepsen held on to top spot in the singles charts this week with her hit Call Me Maybe. The family of Robin Gibb are maintaining their bedside vigil as the cancer-stricken Bee Gees star remains in a coma in hospital.